What Type of Facelift is Right for Me? The ageing process can have visible and dramatic repercussions on the skin around the face and neck, and many people feel they have been subject to premature ageing, leaving them looking older than they actually are. Although many people try and turn back the clock with the use of expensive creams and injections, these can often prove frustratingly ineffective. A facelift may be a useful procedure in this case. Facelift surgery has come a long way in the last few years, thanks to the rapid advancement of cosmetic treatments. Not only can facelift surgery offer you tighter, more youthful skin and a regenerated appearance but choosing a specific type of facelift allows you to target a problem area that’s specific to your facial characteristics. To help you get an idea of “What type of Facelift is right for me?” see the different types of Facelift surgery options available to you here. The full facelift targets the muscle and tissue on the face, jawline and neck to give an overall rejuvenated appearance. It is the most intensive surgical procedure, but it also elicits the most dramatic and long-term results. Ideal for older candidates who feel they have a lot of excess skin or wrinkles on the face to be addressed. A mini facelift focuses on the top half of the face and diminishing the appearance of wrinkles on the forehead and around the eyes. An incision is made in the hairline and muscles and tissue are tightened around the area. It is less invasive than a full facelift and less expensive. Results are long-lasting, but cannot be expected to have the same longevity or impact as the results of a full facelift. The area between the lower eyelids and the mouth, including the cheekbones, are often overlooked by anti-ageing experts, but they can be some of the most severely affected by decreased skin laxity and wrinkles. A mid facelift seeks to rectify ageing in this portion of the face. It is usually an endoscopic (keyhole) procedure, using small incisions in the temples and in the underside of the upper lip. Also known as the S-lift, this mini facelift involves making an incision around the ear (in an ‘S’ shape, hence the name), then taking sagging skin from around the mid and upper face and attaching it higher up on the face, in order to create a taut finish. Similarly, to a mini facelift, these offer long-lasting but not permanent results that improve the look of the face in a targeted area. What are the Benefits of Breast Reduction Surgery? How often can I safely have Botox? How to choose the best Revision Rhinoplasty surgeon? What are the different types of Breast Surgery? Can you breastfeed after having breast surgery? Is Vaser liposuction superior to traditional Liposuction? Do breast implants last a lifetime? Can Snapchat be useful to cosmetic experts and patients alike? Is this new facial rejuvenation treatment better than surgery? Is social media responsible for the rise in facelift surgery? How to choose the right cosmetic surgeon? Is a Neck Lift Worth it and What’s Involved? What can brow lift surgery offer you? 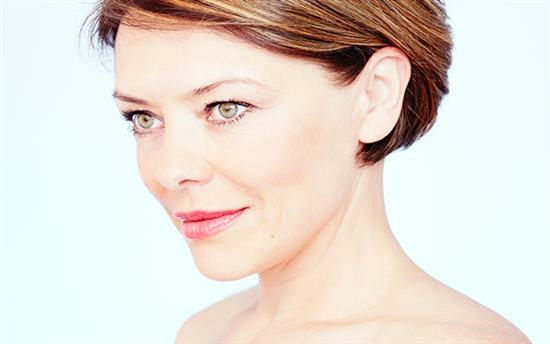 What is a SMAS facelift? Am I better suited to liposuction or a tummy tuck? What are the different types of breast lift? What to expect after Facelift Surgery? Why is rhinoplasty a popular request? Why would I have a brow lift? Tempted by a little bit of Botox? Breast lift or breast implant? Is Botox for a Migraine a valid treatment? Is a scarless breast lift possible? Would you keep it a secret?